To make sure your target audience finds your business in the first place, you’ll need to start by focusing on search engine optimization. This doesn’t have to be a long and complex process - the foundation of strong SEO is to build your website on relevant, well-targeted keywords. If you’re not sure which keywords work best for your business, you may want to spend some time on keyword research. Identify what actual search terms your target customers would be likely to enter into a search bar. Don’t forget to consider which terms your website is already being found for - use a web analytics tool like Google Analytics to find out which search terms your existing visitors used to find you. Once you’ve identified which terms work best for your SaaS product, make sure that you have used them appropriately on your website. You’ll also want to consider other factors that will make your website perform well on search engines - page load time, internal links, and the use of titles and descriptions. To learn more about best practices for using inbound marketing on your website, watch our on-demand webinar for everything you should know. Of course, SEO isn’t just something you do to your own website. To perform well on Google, you’ll also need other trusted websites to link to you. And how do you get links back to your site? Create valuable, informative content that other people want to share, and then plan a regular schedule to distribute it. In other words, you need a content marketing strategy. What’s more, SaaS marketers have a unique advantage in content marketing. By the very nature of your product, you have access to a wealth of data that you can convert into fascinating content - think white papers, infographics, helpful blog posts on user behavior...the list goes on. Great content not only attracts leads to your site; it also helps build your company’s reputation as an authority in your industry. Referrals are marketing gold dust. HubSpot calls referrals - where existing users recommend your software to their contacts - “one of the most effective types of leads”. No wonder really - nothing builds trust in a product more than knowing it is already being used by someone we know personally. So how can you generate more referrals for your SaaS business? Firstly, make it extremely easy for your users to refer you. Simply asking can be enough to drive referral numbers up. At the minimum, add a landing page on your website where people can make referrals. You could also consider adding a referral CTA in the software itself. Secondly, make sure that all customer-facing personnel know that they should be asking for referrals, and provide templates for them to use. Finally, consider incentivizing referrals. This is a delicate balancing act. If you incentivize too heavily, you may find that the quality of referrals goes down - people recommend your software to everyone they know, regardless of its suitability, in order to claim the incentive. To reduce the risk of poor quality referrals, make sure that you are clear on what counts as a referral, what kinds of leads are useful to you, and explain that incentives will only be paid out for real referrals. No matter how effectively you have designed and optimized your site, no matter how clear your calls to action or how compelling your content, most web visitors will simply take a look around - and leave again. To get the most out of your hard-won web traffic, consider using retargeting to lure them back to your site again. Retargeting means that you track who visits your website, and then show them online ads on other sites they interact with. You can do this via Facebook Business Manager, Google AdWords, or via a platform like HubSpot. To get the most out of retargeting, consider customizing your ads based on which URL the lead has visited on your site. 2. Optimize your product trials. Another aspect that gives you a major advantage when you’re marketing SaaS is that you can give away your product for free. 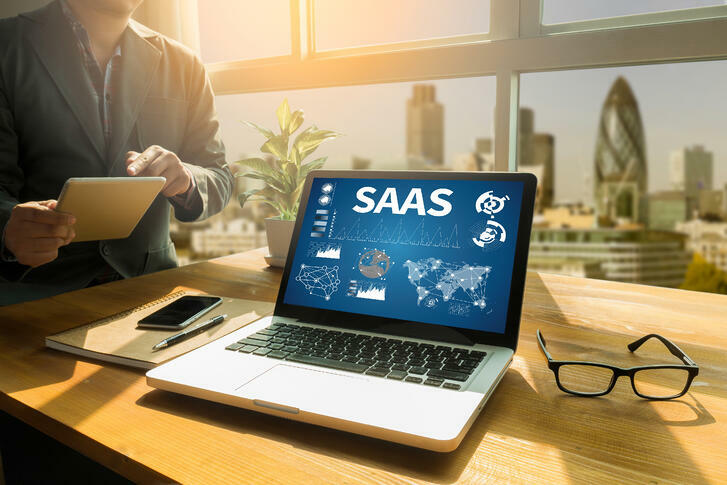 Most SaaS companies offer a free trial - a highly effective conversion tool, as your lead can start using your software and see the value it offers for themselves. However, product trials are a subtle art. Overwhelm your prospect with information and features, and you can risk sending them running for the hills - but too much hand-holding can come off as irritatingly intrusive. To maximize your product trial conversion rate, make sure that people have a frictionless experience using your product. This might mean following up a trial sign-up with a phone call, webinar, or email series. You might want to consider restricting features to simplify the experience. Leads who are demo-ing your software are showing a clear indication of purchase interest, so it’s well worth investing time and effort polishing up your onboarding process. SaaS has a short sales cycle. Unlike traditional B2B or enterprise software sales, a lead can become a customer on the same day, or within a few days of starting a trial. However, this only works to your advantage if you make it incredibly easy for leads to buy. For instance, make sure that anyone using the demo finds it effortless to click the Buy button at any stage during the trial. Be transparent about the sales process and what the customer gets when they buy. Spend time optimizing your buy page - consider adding a chatbot to make sure that any questions can be dealt with instantly. Figure out why people are leaving. The most serious cause is poor product performance - people sign up, try your product, discover it doesn’t do what they expected, and give up. However, often churn can be a marketing issue, rather than a development one. If people leave within the first 3 months, you may need to spend more time on your onboarding strategy, offering helpful educational content to new users to make sure they start seeing value from your product as soon as possible. Or you may need to improve your targeting, to make sure that you are marketing the software to the people who will really get a benefit from using it - or your churn rate will stay very high. This might mean by sharing use cases, case studies or testimonials via email, or by organizing meet-ups for users to engage with your company (and each other) in person. SaaS business success relies on delighting your users. This, of course, means creating an exceptional product, but it also means backing that product up with fantastic customer service. Secondly, provide multiple options for accessing support. Sprout Social advises using social media for customer service - for instance, offering customer service hours on Twitter, or sharing answers to common user questions in your social media posts. 3. Make a great product. We hope these tips help you build an outstanding SaaS marketing strategy in 2019. 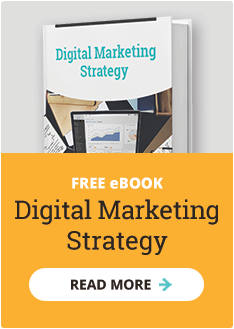 If you’d like the help of our digital marketing experts in taking your marketing plan to the next level, click here to set up a free consultation call.